We appreciate your interest in our services. Fill out our quick and easy form and to request a pickup or delivery for one of our units. 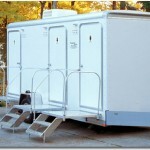 Arkansas Portable Toilets will assess your needs based on the information input and create a custom quote specific to your needs.